The first in our series addresses fleece types and comparisons between alpacas and other textile-producing fiber. Part two of our series discusses fleece and fiber in more depth and what we as breeders need to focus on as we advance our herds into a viable textile marketplace. The third part in our series moves closer to the implications of alpaca fiber in the textile marketplace. We also discuss our shearing, sorting and baling techniques. After a long journey from the bailing room in Sandpoint to the high Himalayas of Nepal, our first hand knotted sample rugs made exclusively from Snowmass Alpaca fiber have arrived. They are everything we expected and more. This is the first time in history that the Nepalese people have ever worked with alpaca and is the beginning of a wonderful relationship. 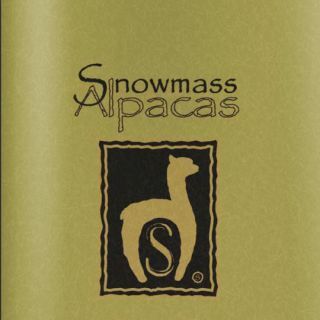 In 2011, Don and Julie Skinner of Snowmass Alpacas and Quechua Enterprises, sent several bales of Royal and Baby alpaca fiber to Perú after having collected it from their finest animals. 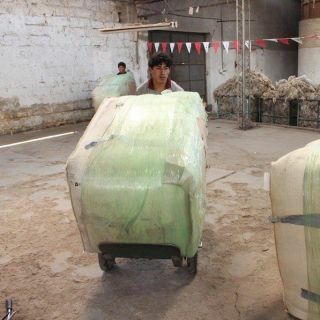 Julie Skinner reports, “The five bales that we sent to Peru were from our finest white-fleeced alpacas. 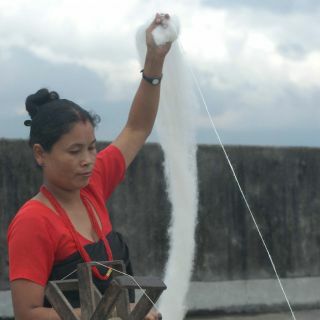 Each fleece was individually tested via Yocom-McColl labs in Denver, Colorado. The fleeces ranged from 13 microns to 18 microns, and the average was 16 micron. One entire bale was rated Ultra Royal (16 microns and less) with every fleece having a high degree of brightness. It has been a long and arduous journey, but Snowmass Alpacas, in conjunction with our new venture, Quechua Enterprises, has achieved an exciting milestone on the road to producing the finest fiber available. 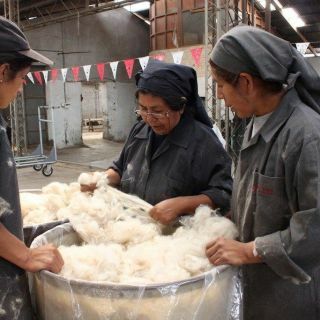 This year, we sent five almost four hundred pound bales of Royal Fiber to Arequipa, Peru. © 2016 Snowmass Alpacas LLC. All rights reserved.